Get your Brussel sprouts on! Cut sprouts into halves lengthwise. With the flat side down, slice each half crosswise into 3 or 4 smaller sections and separate leaves. Discard the ends. In a large saute pan, melt butter over medium heat. 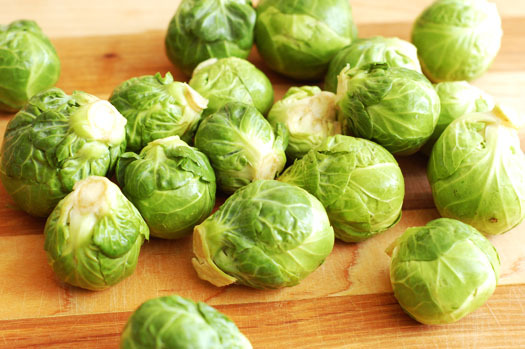 Add sprouts and cook, stirring, 7 – 8 minutes, until lightly browned and tender. Transfer sprouts to a large serving bowl and add lemon juice, walnuts and salt. YUM!